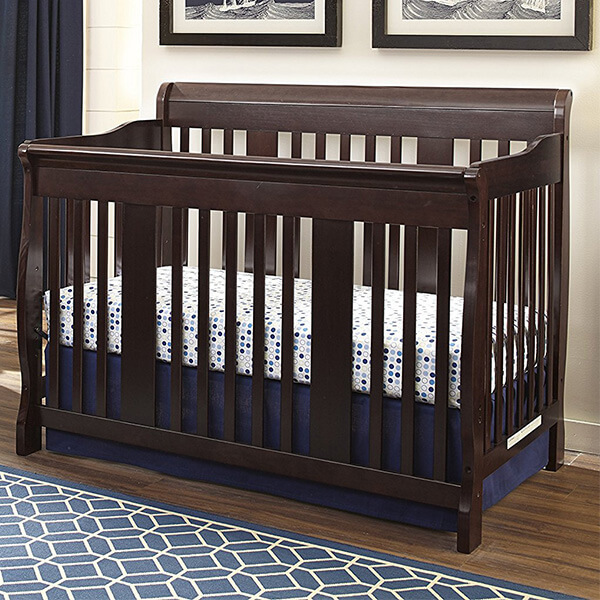 The Dream On Me Ashton 5 in 1 Convertible Crib is a classic crib that is able to convert into a toddler bed, a daybed and a full size bed complete with both a headboard and footboard. It offers three position adjustable mattress heights. 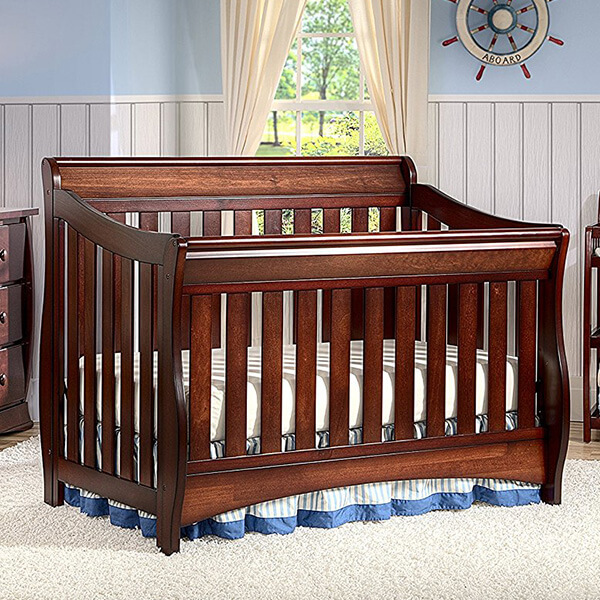 With its sophisticated appearance, the Delta Children Canton 4-in-1 Convertible Crib can add class to any nursery. It converts from a crib into a toddler bed, a day bed and eventually a full size bed, complete with both a headboard and a footboard. It is toxin free and lead free. Modern and charming, the Stork Craft Valentia Convertible Crib comes available in white, espresso, black and cherry finishes to suit any nursery. 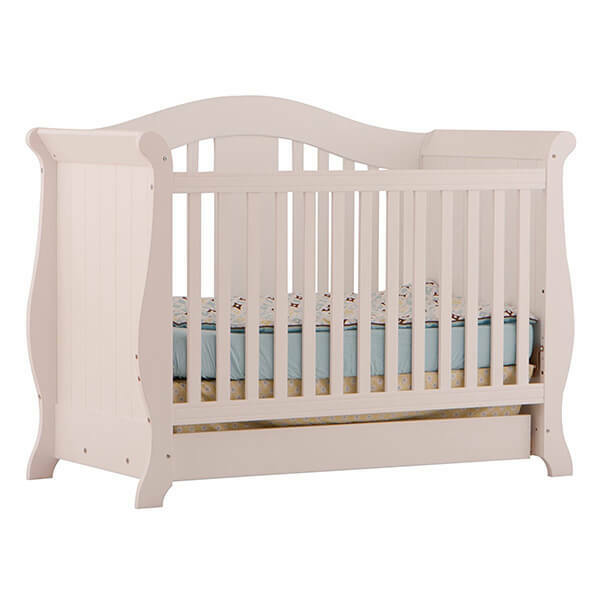 It is a four-in-one fixed side convertible crib that transforms from a crib to a toddler bed, day bed and full sized bed. 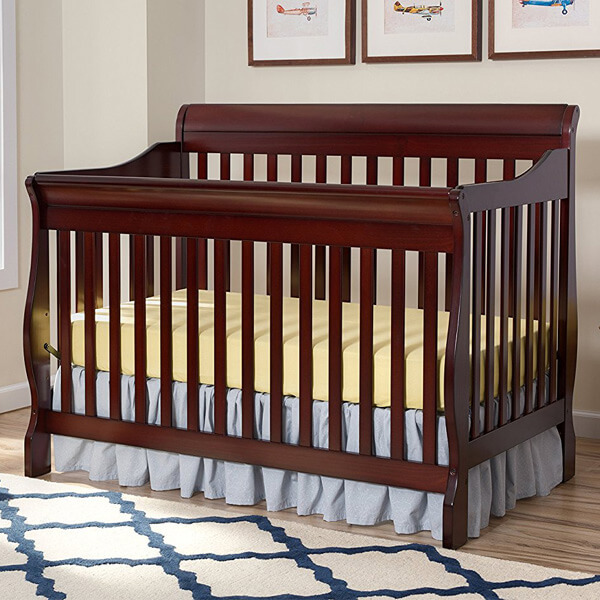 With its rich espresso finish, the Stork Craft Tuscany 4-in-1 Convertible Crib is a sleigh bed that can add sophistication to any nursery. The bed can transform into a full size bed, day bed and a toddler bed. It is made from solid wood and wood products. 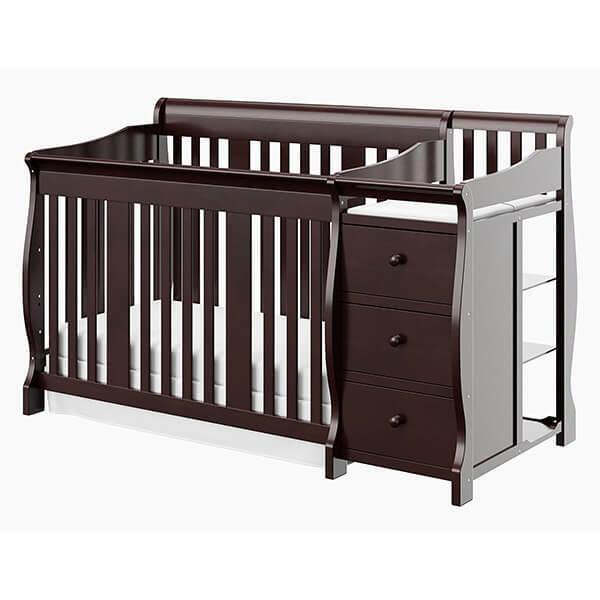 The Stork Craft Vittoria 3-in-1 Fixed Side Convertible Crib is available in a number of finishes to suit any nursery. 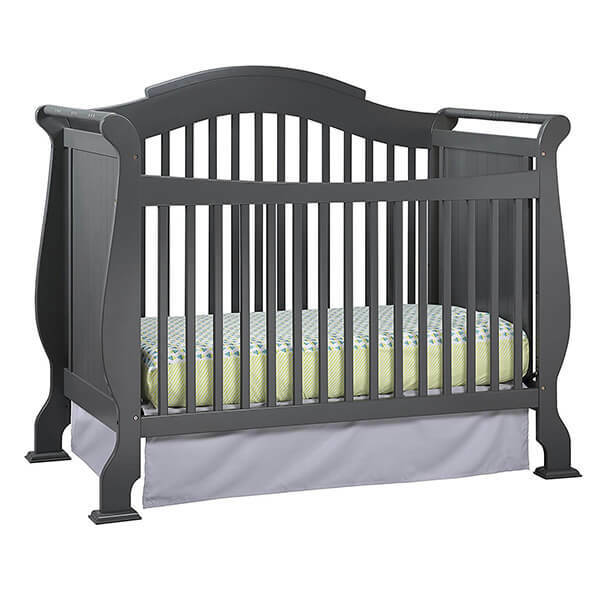 It is a three-in-one convertible crib that can transform into a daybed and a full sized bed from the crib foundation. It has an extra large drawer at the bottom. This Stork Craft Portofino 4-in-1 Fixed Side Convertible Crib and Changer allows you to change baby’s diaper before and after their nap in one convenient place. It features a convertible crib with a changing station attached that comes with three spacious drawers and three open shelves.